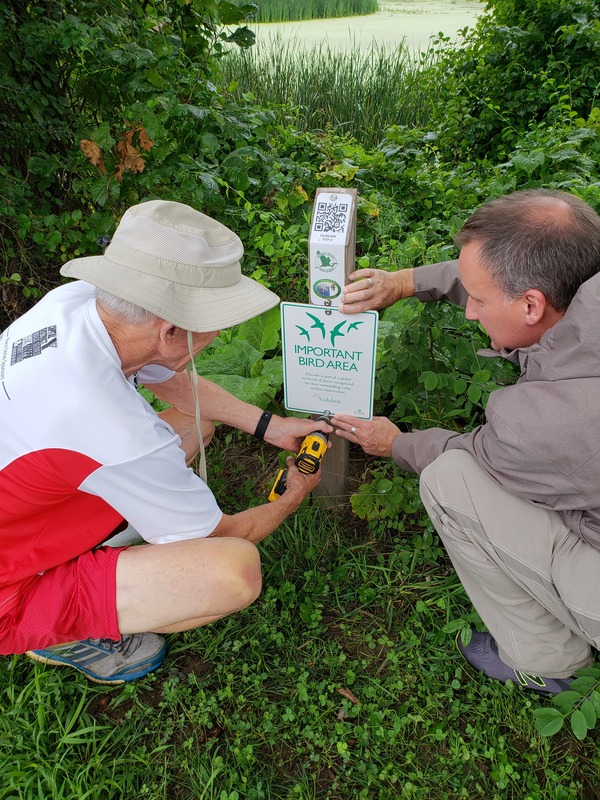 John Loz and Eric Hamilton install a IBA sign under the new QR code for the introductory stop on the birding trail. – photo by Maryanne Mackey. Good job Eric and John, everything takes time but we’re moving forward, thanks for all that you do.